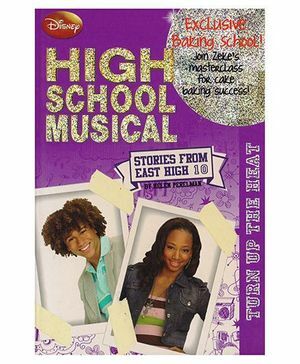 The latest thrilling story from East High, featuring all the favourite students. The Baking Channel has come to Albuquerque for a televised cake-making challenge. East High and West High each get to enter a team of students to compete and, of course, the Wildcats have the edge with resident baker Zeke directing the team! Troy, Gabriella, Taylor, Sharpay, Ryan, and Chad all pitch in to help, but practice sessions in Home Ec are a disaster. Will Zeke and his friends bake their way to the top? Or will they find out that too many cooks can topple a cake?